Freeing Chaudière Falls and its Islands is calling for continued not-for-profit ownership of Energy Ottawa, and for excavations and expansion of the shoreline near Chaudière Island by Energy Ottawa to stop until real consultations are held with Algonquin First Nations by the National Capital Commission and City of Ottawa. October 1, 2015–Windmill Development Group is partner to the multinational corporation, Dream, that has links to TransCanada Corporation and the Ontario Pension Board. Dream also owns a private for-profit hydro company called Firelight. 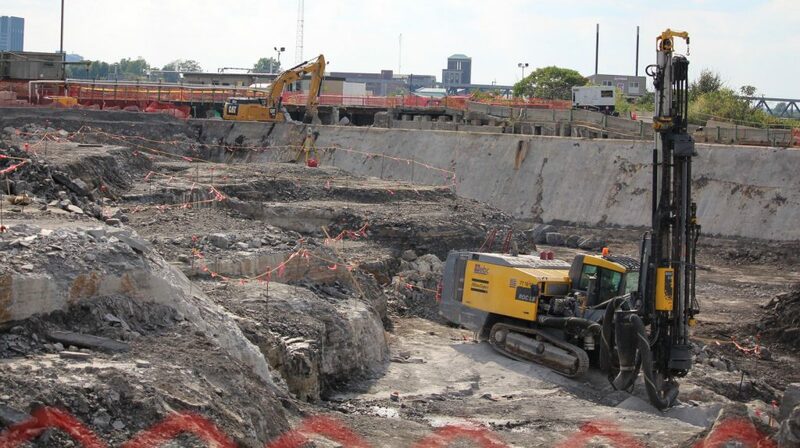 Meanwhile, Energy Ottawa (a subsidiary of Ottawa Hydro) is destroying the sacred Chaudière Falls area (Akikodjiwan) without announcing publicly what this major excavation is about. The Algonquin sacred site includes Albert, Chaudière, and Victoria Islands, and Chaudière Falls, on the Kichi Sipi (Ottawa River). Freeing Chaudière Falls and its Islands has strong concerns about the new ways that Windmill and its corporate partner Dream (also called Dundee International) stand to profit from unceded Algonquin land and water. We are worried about the future of the land, the water, and the Falls under the potential ownership of the conglomerate Dream Windmill. Dream is an international real estate corporation with $15 billion in assets. (1) In 2014, Windmill Green Fund LP V (“Windmill Dream”) emerged as a partnership between Dream and Windmill Development Group Ltd.(2) Windmill Dream hopes to build a commercial and retail space, as well as 1,200 condos on Akikodjiwan, a sacred Algonquin site. Richard Gateman, who has been a director at Dream since May 2013 is also a Vice President at TransCanada Corporation. (3) What does this mean for Ottawa and TransCanada’s controversial Energy East Pipeline that our municipality has not yet taken a stand on? City councillors and Mayor Jim Watson, as well as environmental groups like Ecology Ottawa, which is opposed to the Energy East pipeline, need to ask: are you comfortable with Dream’s connection to TransCanada when the City has not yet announced its position on Energy East? How does Dream Windmill’s link to Trans Canada Corporation fit with the One Planet “green community” designation that Windmill Dream proudly announced in April 2015? Vincenza Sera, a Dream director since May 2013, is also Chair of the Ontario Pension Board. (4) We wonder about possible connections to pension funds and the proposed $1.2 billion Dream Windmill development proposed for Chaudière Falls and the islands. Would Ontarians want their pension fund invested in a for-profit corporate facility built on sacred Indigenous land? Do they know of this connection between the chair of this Board and Dream? It is also worrying to us that Dream owns a private energy/hydro company called Firelight. (5) The potential exists for Dream to own not only the islands near Chaudière Falls, but also the Falls and the dam itself. Energy Ottawa is a subsidiary of Hydro Ottawa. In other parts of Ontario, municipalities have sold off part or all of their energy generation capacity to private corporations with negative results. (6) Hydro One in the province of Ontario is poised to allow private ownership of a public utility. Is Dream’s subsidiary Firelight poised to mount a takeover of Energy Ottawa? 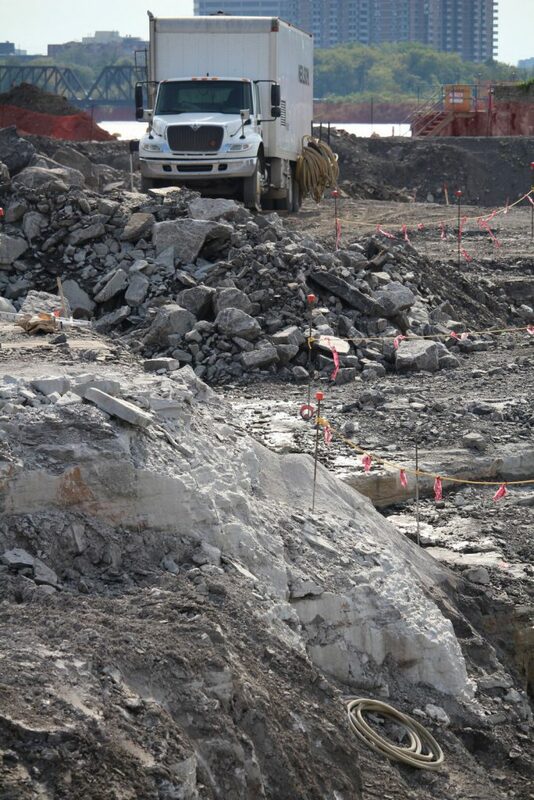 In recent weeks, Energy Ottawa has been digging and destroying parts of the Ottawa River’s riverbed and lands (see attached photos) around Chaudière Island. Is this digging and hauling away of earth part of a cleanup effort (remediation) by Energy Ottawa to make way for Dream Windmill’s condo development? If so, why is this being funded by taxpayers? If this excavation is the first phase of expansion of the hydroelectric generating plants at Chaudière Falls into a new 29 megawatt facility,(7) we demand that the work stop until the N.C.C. or the City of Ottawa hold real consultations with Algonquin First Nations that claim this area as a sacred site, Akikodjiwan. TSC Exchange, July 30, 2015 press release. Dream. Dream Annual Report (2014)and Dream Unlimited Corp. Annual Information Form (March 30, 2015). Dream Unlimited Corp. Annual Information Form (March 30, 2015) pg. 39 and Dream Annual Report (2014). Press release (July 29, 2015). Hydro Ottawa acquires 10 run-of-the-river hydroelectric facilities from Fortis Inc. In Ontario and New York.